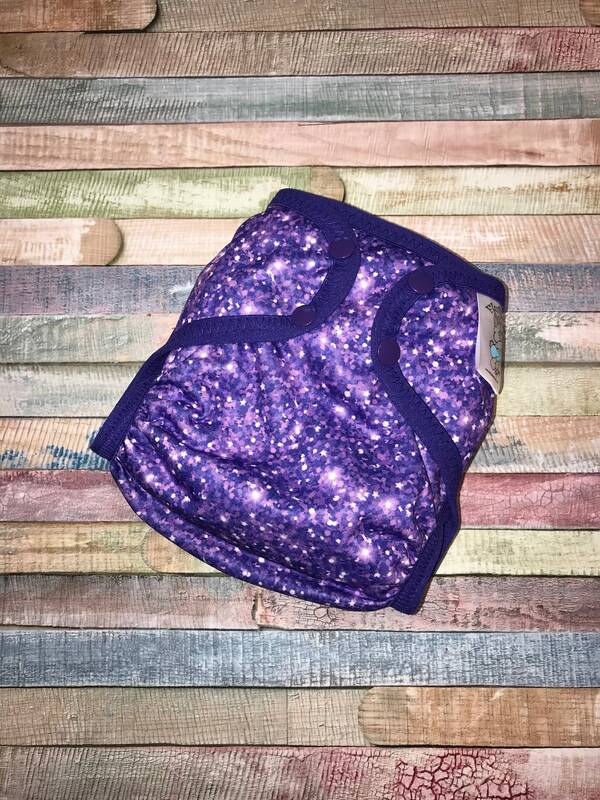 Your little one will look adorable in this fabulous Purple glitter polyester PUL waterproof cloth diaper cover. It is designed to work well with both fitted diapers and prefolds. Please note that this diaper is made from PUL fabric that is printed to look like glitter. It is not actually coated with glitter and has the same feel as all other diapers in my shop.